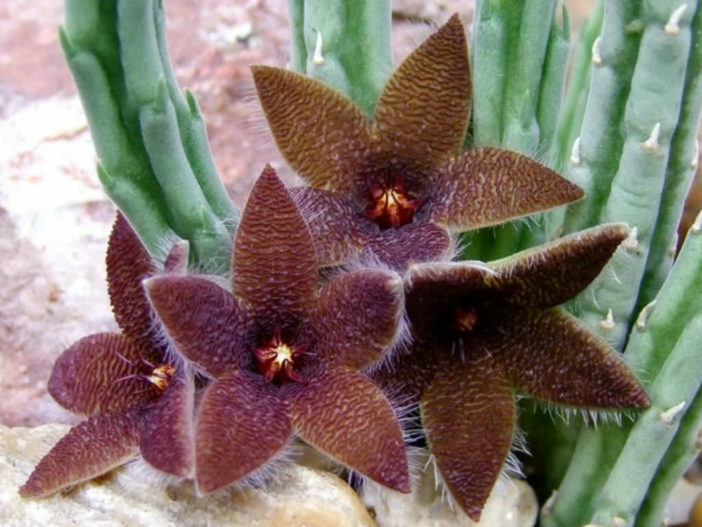 Stapelia olivacea is a low-growing, spineless, stem succulent with small, darker maroon-red, almost flat flowers with white hairs along the margins. The color is very variable. 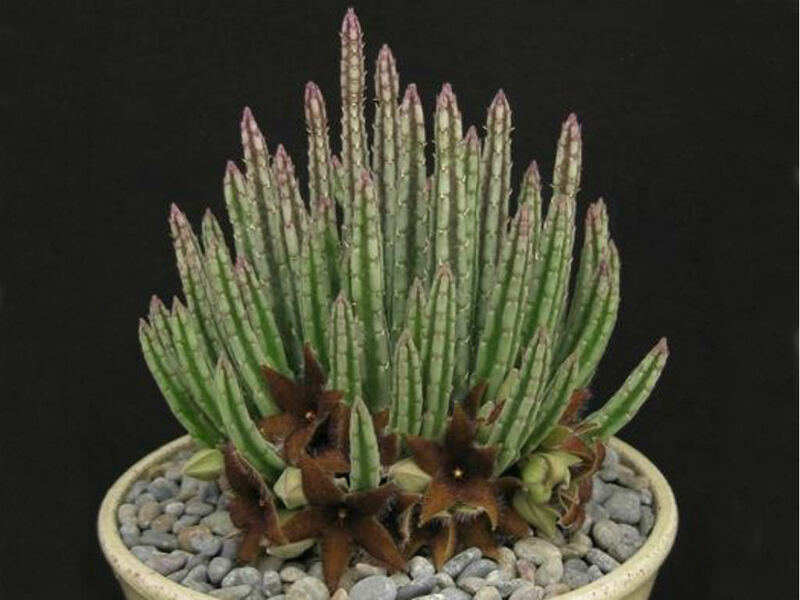 The stems are grayish along the flanks, with the grooves in between a darker green, sometimes purplish. 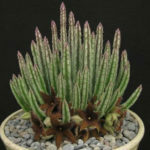 They form attractive, neat clumps up to 4 inches (10 cm) tall. The epithet refers to the olive-green color used in the first painting of this species. 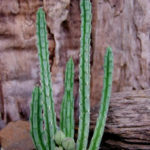 Several species are fairly easy to grow. 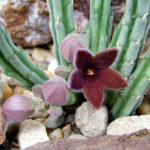 Others, often those with slightly hairy stems and the more unusual flowers, are more challenging and require careful watering (with some fertilizer) during the growing season and complete withdrawal of water during the winter months. 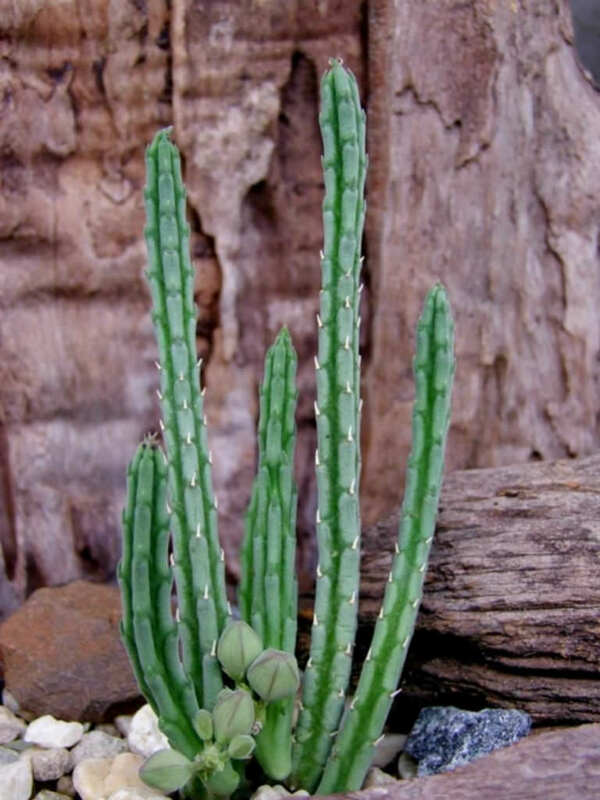 A minimum winter temperature of 50 °F (10 °C) is acceptable, providing that plants are kept absolutely dry. A heated growing bench or incubator may help delicate plants to get through the colder months. However, many species live under shrubs in habitat and prefer light shade rather than full sun. 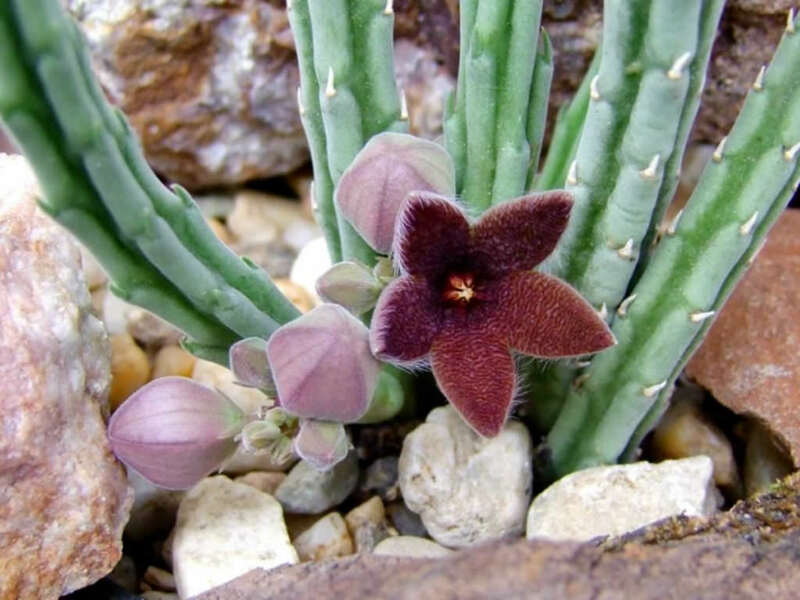 Stapelia olivacea is native to South Africa (Eastern Cape, Free State, Northern Cape, and Western Cape).